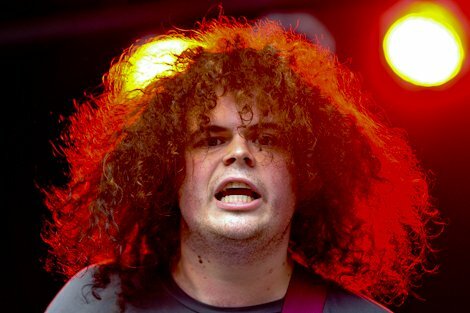 Better Than Something, the much-heralded documentary about the late garage rock icon Jay Reatard, is finally getting the deluxe DVD release that's been promised since soon after the singer-songwriter's untimely death in 2010. The Memphis musician, born Jimmy Lee Lindsay, began his music career at the age of 15 but was just beginning to enter the national consciousness with the critically-acclaimed album Watch Me Fall when he died at the age of 29. The film, which has been making the festival rounds for over a year, features previously unseen archival footage and Jay's last public interviews. The release, available for pre-order here, will also include a limited edition soundtrack LP on "blood red" or "true black" vinyl and a 50-page booklet chock full of unreleased photographs and essays from famous admirers of the iconoclastic performer. The soundtrack is set to include 13 previously unreleased tracks. "He was transgressive and honest," said Atlas Sounds leader Bradford Cox . "His flaws were something he focused on and overdubbed and distorted until they made you forget who he really was– a person with feelings and a good heart."